Hello everyone! I'd like to start a new tradition here on the prototype and it has to do with the newly introduced Field and Fusion Stars that appear post-game. I would like to request that, whenever possible, you take screenshots of the "Victory" screen whenever you find a new field star in battle and post it here in this thread! You don't have to if you don't want to, do not have the equipment, or are otherwise unable to... but I think it could be a lot of fun for the people who do! @ThatOneEnderMan : I got something else for you and everyone: 1/3 of 1024. @TheDoc : Uh, Doc... You do know you need all lvl 100's... Right? 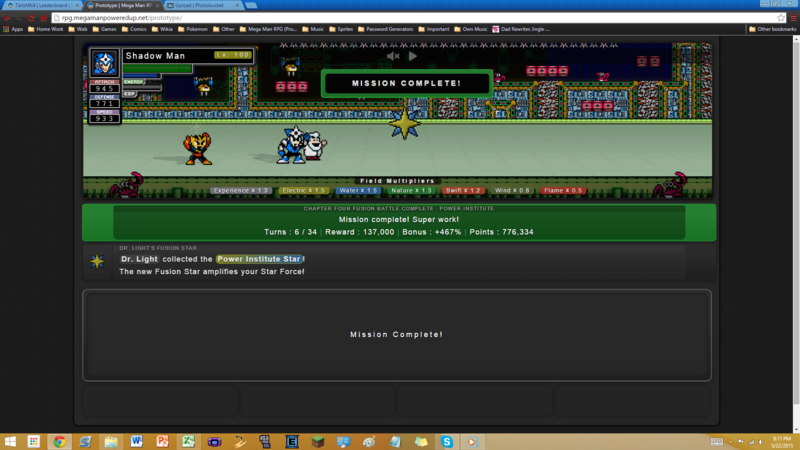 Also, your gonna need more stars and better stats, or Tails and Mikey, Aswell as MBM can PWN you. Star 375. Also, toad's Speed got down because of oil man. Star No. 362. The last Water Field Star I need. Oh boy... Almost 500 stars. This is me, Talking about the STARZ, WANT 1024! ME WANT 1024! @TheDoc : ...Looks like Ice Man is eluding you with the final Star. 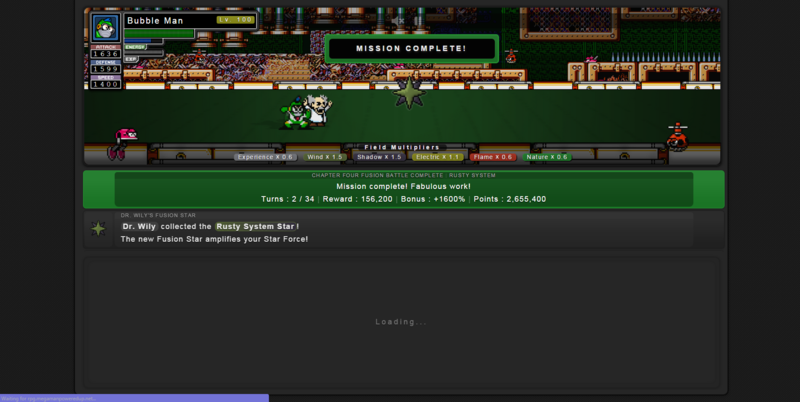 Regardless, you finally got your Starforce. You'll find battling to be so much easier now...perhaps almost boring. So yea, I've quickly realized that the 1023 club is kinda lonely. The only person close to joining is uraccountcrashed and he's, like, dead or something, so I'm sadly discontinuing the 1023 club and entering the 1024 club. @Retro Pikachu : Ret-ro! Ret-ro! You can do it! You can do it! ...If Retro was to collect all stars... He'd be too powerful for anyone to face! He'll destroy us all! ...Yes... or... he will be part of the 1024 club and it will have no other effect on anybody, especially you.